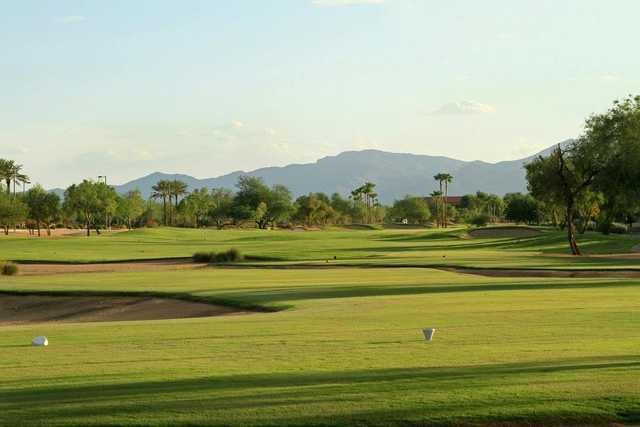 Situated in the Northwest Valley, Desert Springs Golf Club was the original course at Sun City Grand, a residential community that now includes four public courses. It is a challenging, desert-style golf course that is surrounded by the White Tank Mountains, which offers stunning views. 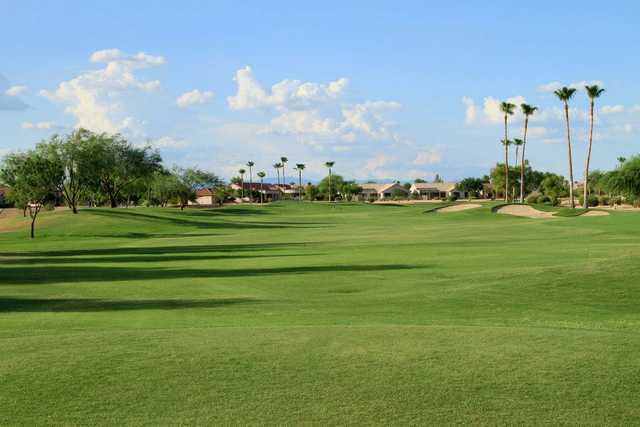 Situated in the Northwest Valley, Desert Springs Golf Club was the original course at Sun City Grand, a residential community that now includes four public courses. It is a challenging, desert-style golf course that is surrounded by the White Tank Mountains, which offers stunning views. The layout features fairly large, undulating greens and wide fairways. There are 60 strategically placed bunkers and several desert waste-areas throughout the golf course. A whopping 17 water hazards come into play, making accuracy a vital aspect of your game. There are seven sets of tees that make the course accessible to players of all skill levels. 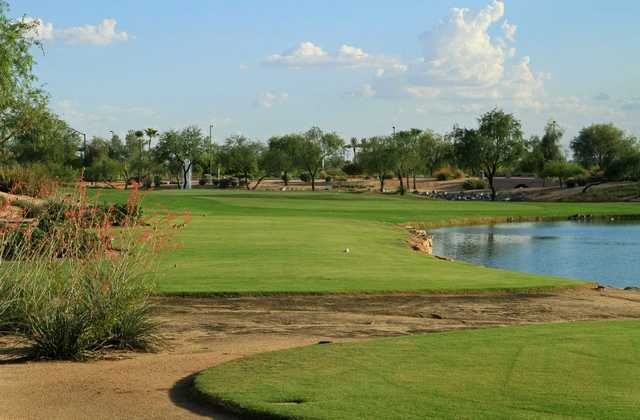 Desert Springs Golf Club's back tees have been known to test even the most skilled golfers. As a beginner, I found this course to be challenging. There is enough opening down the fairway so I rarely lost any balls into the rough or rock. There's not too many water features but a few holes have giant sand traps. The grass was in great shape but the tee box was soft. Overall, a great value and I would definitely play here again. The two guys in the pro shop were friendly and knowledgeable.